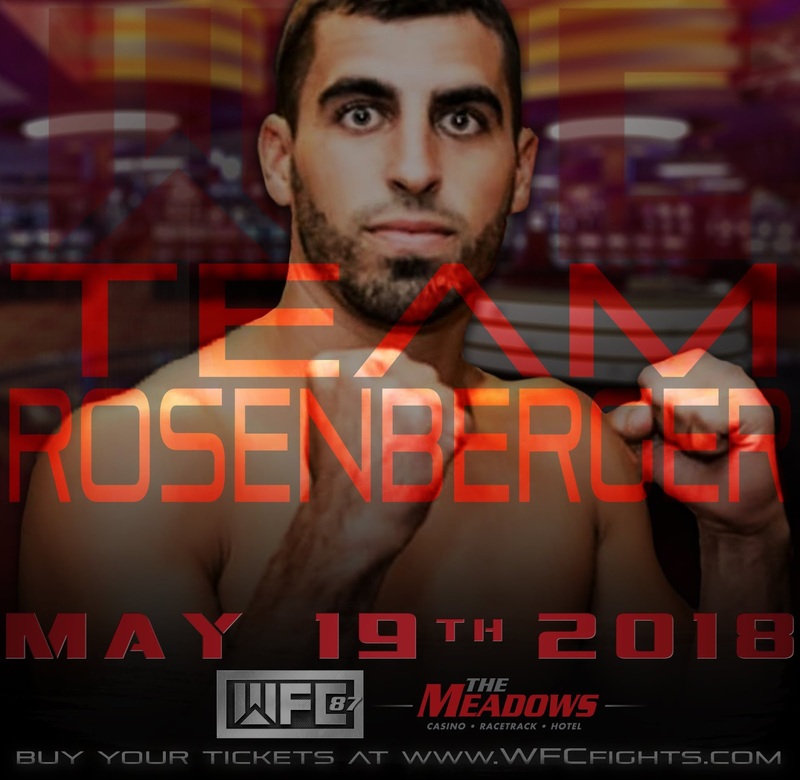 All the sacrifices, sweat, and countless hours of hard work put forth between fighter and trainer will be put on display tonight in Washington, PA as World Fighting Championships 87 invades the Meadows Casino. Niles High School graduate, Danny Rosenberger (2-4-3) who is trained by Tom Cordell at Downtown Boxing Club will be fighting for the third time in 2018 when he climbs into the ring tonight to take on Pittsburgh native Mark Daley (3-0-1) in a four-round super welterweight matchup. Rosenberger, 28, is 2-1-1 in his last four bouts which have all taken place within the calendar year including fighting to a majority draw his last time out against Jauvaun John in March at the Palermo Center in Campbell. While Rosenberger has stayed active in the ring, his opponent tonight might have to shake off some rust. Daley, 35, will bring a 3-0-1 record into the bout as he climbs between the ropes for the first time since August 2017 when he scored a majority decision victory over Raphael Sinegal at The Rivers Casino in Pittsburgh. Also scheduled to fight on tonight's card is Dib Kaddah (0-2) of Cleveland who will be looking for his first pro victory. Kaddah, 26, who fights as a super lightweight will be taking on Kelly Smith of Pittsburgh who is 0-1 having a suffered a knockout defeat in his pro debut in August 2017. The main event this evening will feature Pittsburgh fan favorite, lightweight Bill Hutchinson. Hutchinson, 29, is currently 15-2-4 having defeated Chris Singleton this past December in Baton Rouge, LA and will be taking on 26-year-old Angel Hernandez (13-9-2) of McAllen, TX. First bell for tonight's action packed card is slated for 7:00 PM.